Edited by RadX, 16 October 2018 - 12:26 PM. must use with 365 card ? 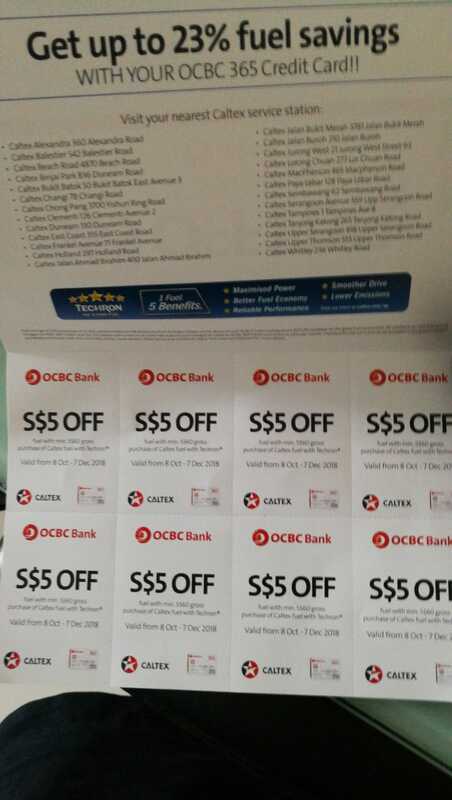 "Balance payment for fuel purchases must be charged to a valid and existing 365 Credit Card by OCBC"
I also have a set of 8 coupons valid till 7 Dec.
Kindly PM me your address so that I can post to you. Thks ... But I only got the ntuc/ocbc ... So don't think can qualify. SPC Bukit Timah has reopened. Now giving out vouchers 5 dollars off for every 60 dollars pump over and above the usual discounts. They are very sticky only give 1 sheet (12 coupons for Oct, Nov and Dec) purchase. So if you want more, pump 60 get the first sheet and pump again! Did OCBC mail to you? See T&C, if need it. am interested but cant see the T&C clearly. any restriction on location? i stay in yishun. Edited by Pocy, 22 October 2018 - 11:43 PM. Can I ask where you get it bro? Hi, can i hav the december spc vouchers will do? I stay around tiong bahru. Edited by Leicester65, 23 October 2018 - 03:52 AM. I can pass to you tonight 9pm at Serangoon Central Blk 261 coffee shop. Look out for 🤓 in black jacket. PM me to confirm. 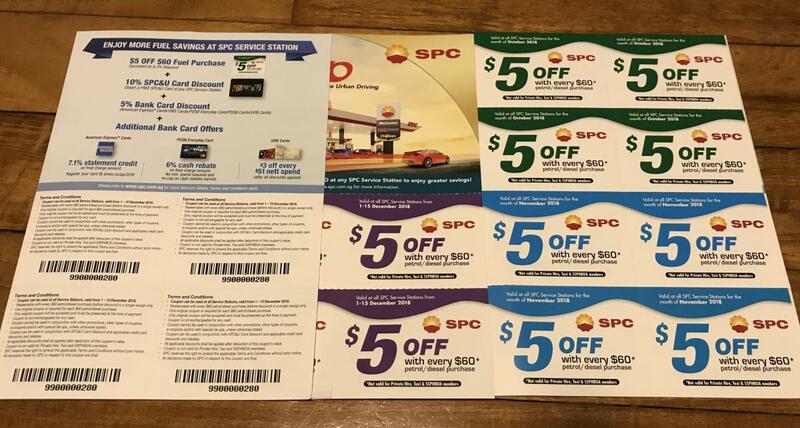 Got any spare SPC voucher coupon which can use Posb Everyday card or Amex to give away I collect from you at ur area on weekends thanks. 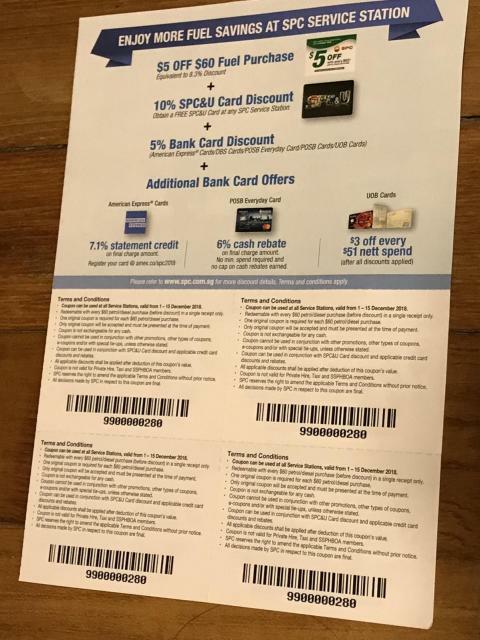 Thanks to bro Pocy, I have collected the coupons. If anyone staying in the east and want to have a sheet, can PM me. Collect at Eunos Crescent. Many thanks to bro FCW75 for passing me the SPC vouchers! !